Puma have already given us a colour update for their normal models, where the colours White, Red and Blue have been dominant. The Germans, with the leaping cat logo, have made a lightweight version of their different boots, which is called a superlight, or SL for short  and today we will be taking a look at the new colourway of the Puma King SL. Are you a fan already? 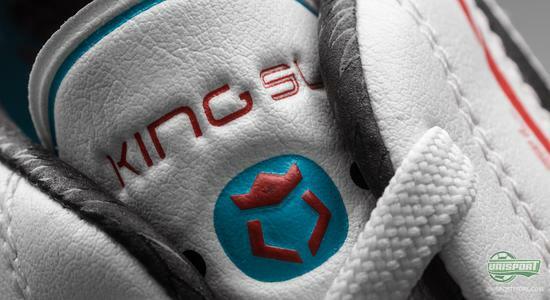 The Puma King SL is the trimmed down version of it's heavier brother, the regular King. 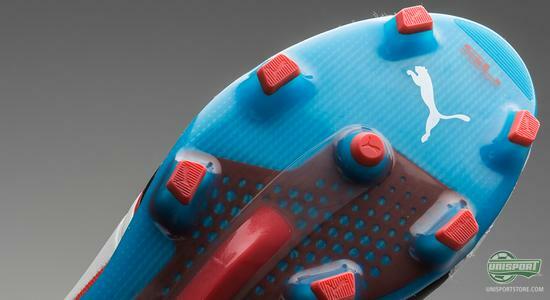 If you imagine the Puma King went on a diet, the superlight version is what you would get. 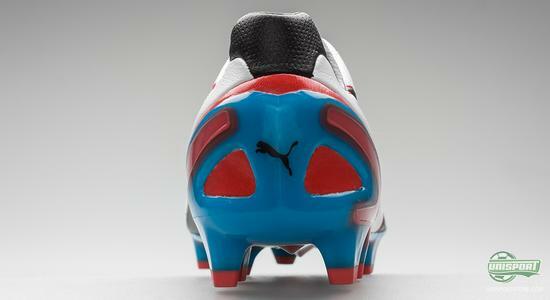 It also has the elegant white base colour, a black Puma stripe, as well as, red and blue accent colours on the heel. 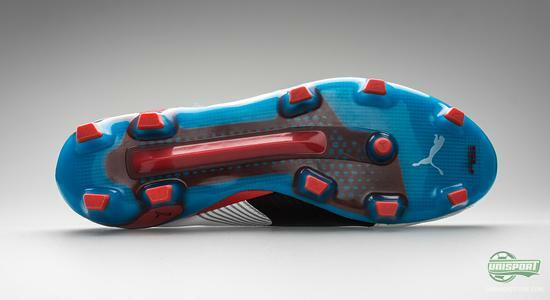 SL stands for superlight and the King SL is also the lightest King boot ever made. With an impressively low weight of just 171 grams it combines the classic King attributes like comfort and touch with ultra light weight, a true speed shape and a sharp stud-configuration. This has been possible due to a few key changes compared to the regular Puma King  everything done to lower the weight of it and keep it at an absolute mininum. 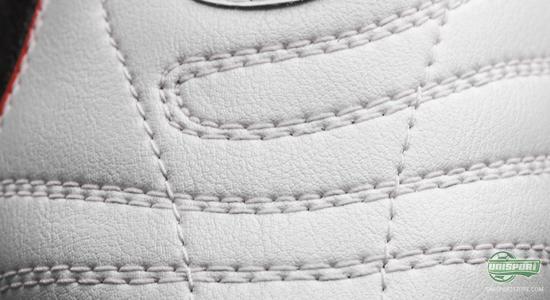 When you think of the Puma King, the first thing you think of is a delicious upper made of kangaroo leather,  but this is actually not something you will find on the King SL  here the upper is made of a single layer of Japanese microfibre. This gives a fantastic upper, which has many of the same qualities as leather and this means you can get a sharp, elegant touch, as well as, a sensationally tight fit. 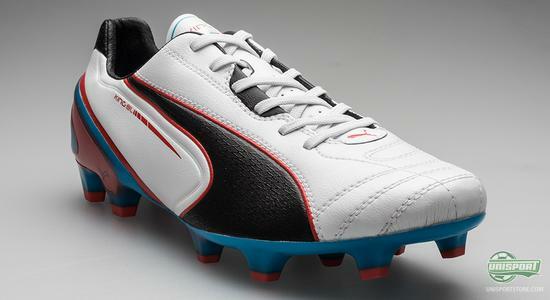 It was very important for Puma that the King SL, was still true to its pedigree and ancestors and it is also under the Puma TouchCell category, which is a collection of boots, which focus on comfort, touch and control  and despite the incredibly low weight it still manages to fulfil all of the criteria. 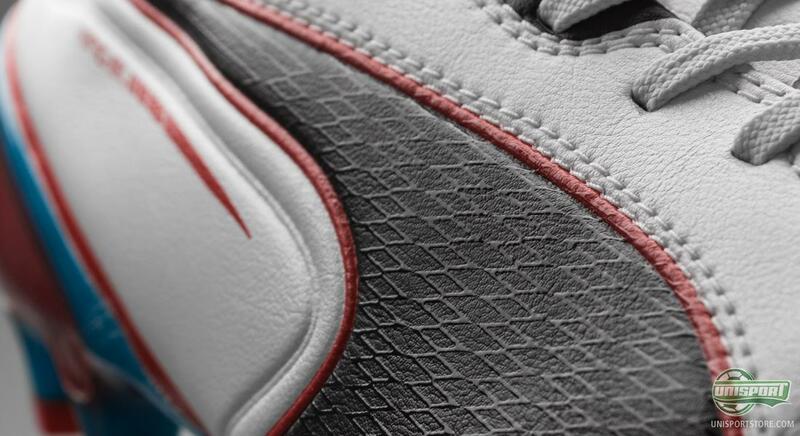 An excellent part of the boot, which really helps the general comfort, is the external heel counter. 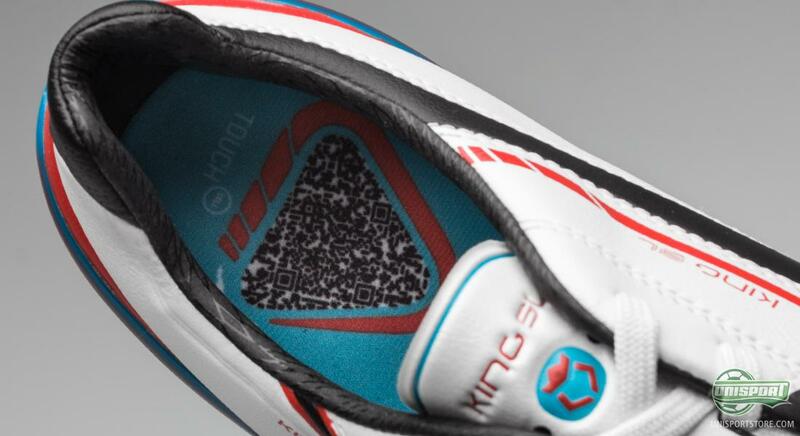 Made of TPU it ensures both stability and protection and gives your heel protection from tackles from behind. 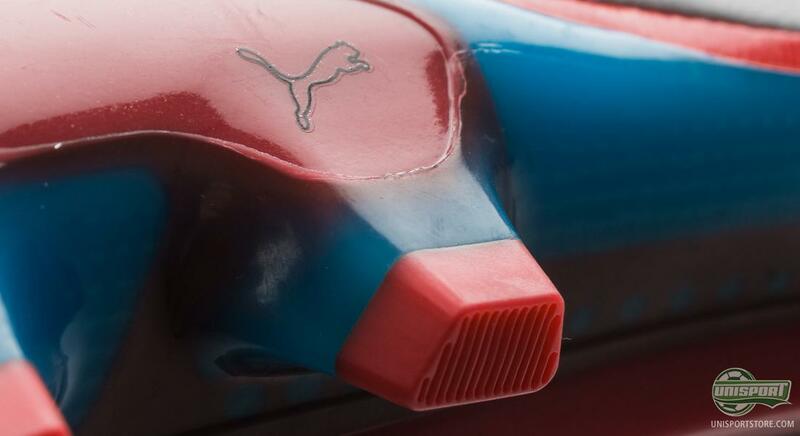 On the King finale, which was the previous model of the King silo, Puma used the AptoLast, which is the footshape the boot is made to accommodate. AptoLast is quite slim and more streamlined than the ComfortLast on the regular King boot  and as a result of this, the AptoLast has been used again on the King SL. The soleplate on the King SL also focuses a lot on speed, when you flip the boot over you find the square studs, which give a very aggressive grip in the pitch and thus giving you better acceleration on the first two meters. King SL is at the same time designed with a so-called torsion bar made from nylon underneath the midfoot, which provides the boot with stability and added springyness  all of this will combine to give you the advantage on your opponent when it comes to speed, on the crucial first meters. 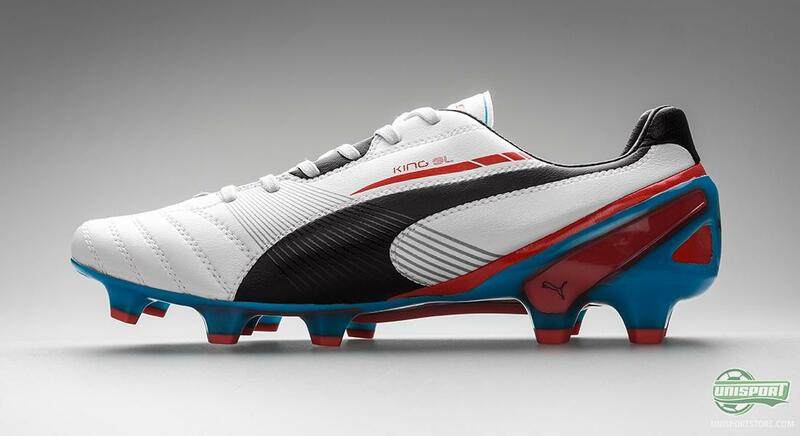 In other words, Puma try to mix speed and comfort with their King SL and it is a very viable option, if you want a boot that gives you all the classic qualities, as well as low weight. The boots will, like Pumas other SL-models, not get player support, but you would think, that a pair or two might find their way onto the feet of the more boot fanatical players. 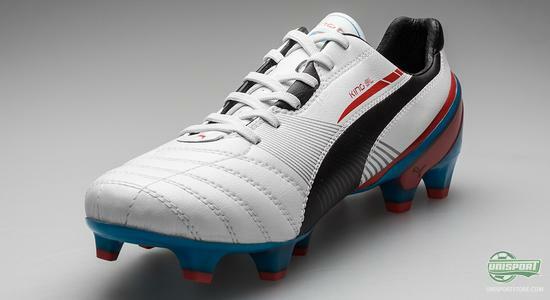 It has been a good couple of days for Puma, where they have brought a lot of new colourways. What do you think about the 171 gram light Puma King SL in White/Black/Blue/Red? Share your thoughts in the comment-section down below.